Few weeks back, I craved for this kind of cake, but can't find any here in this side of the world. There is one filipino cake store where you can order but it will take few days before you get it, and I can't wait for that days lol. 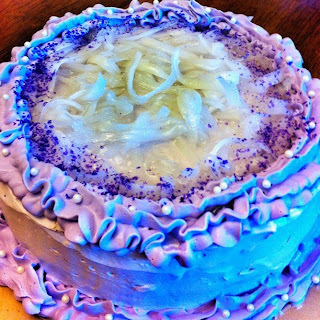 So I attempted to bake my own version of Purple Yum Macapuno or Coconut candy Cake or Ube Macapuno Cake. I've seen a lot of recipes online and tried it but cannot get the consistency I like. I'm kind of mixing all the recipes I found. I tell ya, I don't know how much flours and butter I've wasted just to suit my taste, and finally after many trial and errors, it turned out great! After I posted it in FB, I received messages asking for the recipe. It gives me an idea of posting recipes once a week here. So if you're interested, you are free to get some of em here. Some of the ingredients in this recipe are usually found in any Asian store, like purple yum powder or frozen purple yum and macapuno (coconut candy) So, you might want to check asian store in your area. *Use 1/4 cup macapuno and fold in this mixture. Spread out the rest of the macapuno on middle and top of assembled cake. *Preheat oven to 35o degrees F. Prepare two 9 round pans, line bottoms with wax paper. Do not grease. *In a large bowl, sift together flour, baking powder, sugar and salt and combine well. Add egg yolks, cooking oil, milk, grated ube or purple yam, ube flavouring, purple food colouring. Beat with electric mixer or by hand jut until smooth and well blended. *In a separate bowl, beat egg whites and cream of tartar on high speed until frothy. Gradually add in 3/4 cup sugar and beat until stiff peaks are formed. Gradually and gently fold in egg whites into flour mixture until very well combined. Divide batter equally into prepared pans. *Bake for about 45 mins or until a skewer stick inserted into the center of the cake comes out clean. Invert pans into wire rack immediately and cool completely. *Carefully run a thin knife around sides of pans to release cakes. Using a knife, half each cake horizontally. 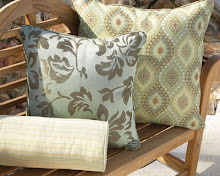 Set aside one of the top halves for later use. Combine cream cheese, powdered sugar, butter, whipping cream and vanilla extract in a large mixing bowl. Use the whisk attachment and mix on medium speed until smooth and fold in the 1/4 cup macapuno. *Place one of the cake layers (bottom half of one of the cakes), cut side up on your serving plate. Spread and level some cream cheese frosting onto the cake layer until it is about 1/4" thick. Scatter half of the macapuno on top of cream cheese frosting. *Place second cake layer, cut side down on top of bottom cake layer. 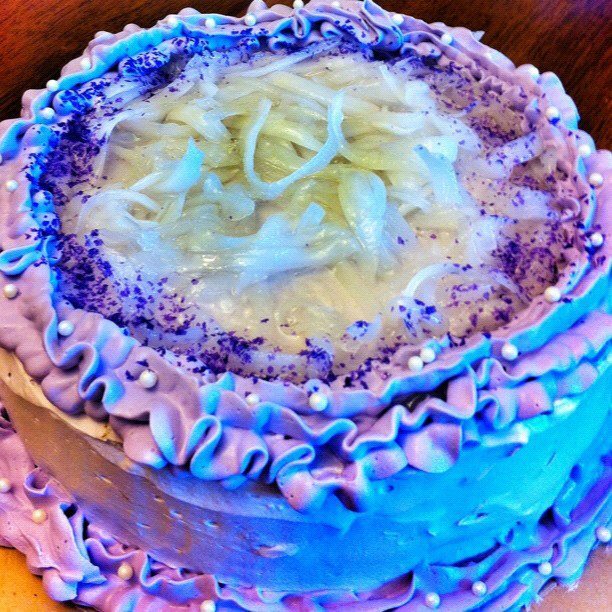 Spread the remaining cream cheese frosting and remaining macapuno on top of second layer in the same manner as above. *Top the cake with cream cheese frosting to cover top and sides of cake. Remember to leave some frosting for your borders. Enjoy and hope you all have a great day!